Episode One of the final season of Game of Thrones set the table. Now it's time for war preparations. Only five episodes remain, which means you should start saying goodbye to your favorites. Easter weekend isn’t normally a big one at movie theaters, and especially since we’re just a week away from Avengers: Endgame. We do have one mild surprise breakout, as a horror franchise continues to churn out successful spinoffs. First Reformed nabbed Paul Schrader his first Academy Award nomination this year, for Best Original Screenplay. What’s the safest bet in Hollywood? Come on, you know the answer. When in doubt, always make horror movies. You'd be forgiven for having absolutely no idea that three new wide release movies are arriving in theaters this weekend. What's Monster Mania like? Find out! "Three time winner for the ugliest eyebrows in Hollywood. " 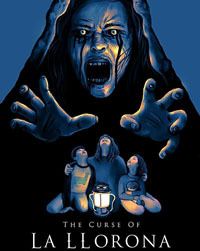 "Crazy" is the nickname given by a child to the hero of this 2018 film. William Shakespeare is born in Stratford-on-Avon, England. The Bard's works have been translated to film numerous times. He also dies on this date in 1616. America's favorite child star Shirley Temple is born in Santa Monica, California.